The Automatic Pouch Packaging Machines for powder and granules are judged for its precision on the long run and also its high speed and durability in all sorts of conditions. Our machines meet the highest of international standards when it comes to a quality output. We offer spices packing machine, automatic spices packing machine, detergent powder packing machine, tea packing machine, automatic packing machine, biscuit packing machine. UNIQUE PACKAGING SYSTEMS deals in Automatic Packaging Machines for Mehndi, Besan, Flour, Rice Powder, Powder, Bio-Fertilizers, Pesticides Powder, Powder, Spices etc. 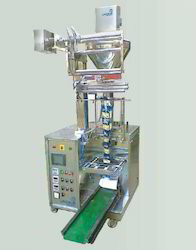 UNIQUE PACKAGING SYSTEMS supplies Automatic Pouch Packing Machine for packing all kinds of powder products. UNIQUE PACKAGING SYSTEMS is regarded as reliable Detergent Packaging Machine Manufacturer and Detergent Packing Machine Exporter. We deal in a wide range of Detergent Packing Machines. We aim to multiply customer satisfaction through continuous improvement of our products and services. 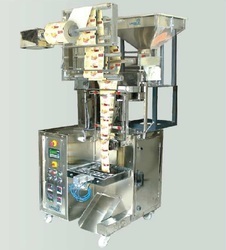 UNIQUE PACKAGING SYSTEMS is regarded as reliable Tobacco Packaging Machine Manufacturer and Tobacco Packing Machine Exporter. We deal in a wide range of Detergent Packing Machines. We aim to multiply customer satisfaction through continuous improvement of our products and services.